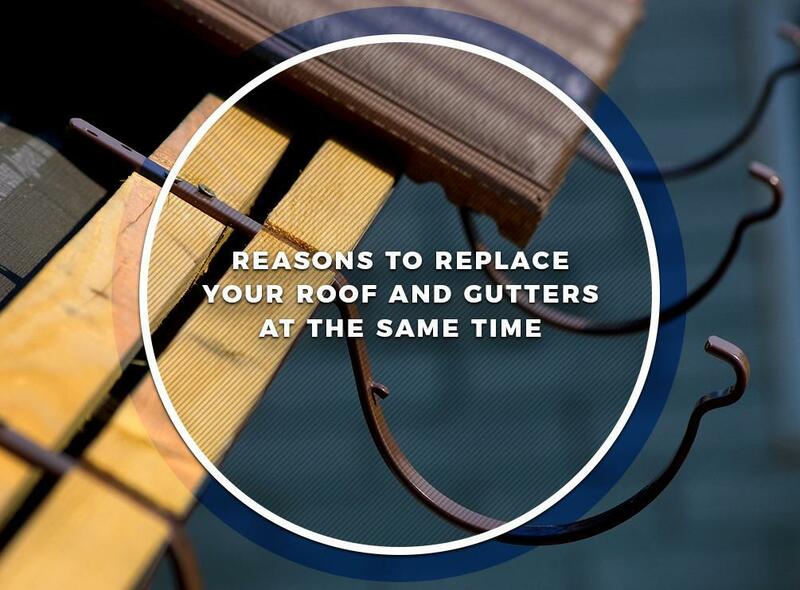 Why Update Your Roof and Gutters at the Same Time? Replacing your gutter system and your roofing system both require that we climb up on ladders and work on your roof. It’s better to perform these projects simultaneously so we can perform this work with minimal disruption. We can make sure that we install your roof and that we install your gutter systems without affecting either installation. It’s also better for you to work with only one company if possible. This makes it simpler for you to contact us and ask for our help in case there is a problem with your roof and gutters in the future. You won’t have to worry about juggling the schedules and contacts of two companies. What Are the Benefits of a New Roof and Gutter System? A new gutter installation can have many great benefits for your home. Our high-quality gutters can handle any kind of bad weather and effectively direct rainwater to your downspouts. Since they are reliable, you won’t have to worry about water damage, siding staining, damaged foundations, and landscape damage as long as you make sure that our gutters are properly maintained. Just schedule regular gutter cleaning sessions with us. A new roof also has tremendous benefits for your home. New shingles can greatly increase your home’s curb appeal and take years off your home’s apparent age. We provide shingles from top manufacturers like CertainTeed and GAF, so you can choose from many shingle designs and colors. Our high-quality asphalt shingles are also strong enough to withstand any kind of bad weather, so you won’t have to worry about roof leaks. Your gutters are an important part of your roofing system, so it doesn’t make sense to use your current gutters if they need an update. As a GAF Master Elite™ contractor, we are part of the top 3% of all roofing companies in the country. We are roof and gutter specialists, so you can count on us to finish both projects on-time and without any mistakes. We serve many areas in MA and NH including Boston, Worcester, and Manchester. Call us at (508) 372-0400 to learn more about our services and products. You can also ask for a free estimate.